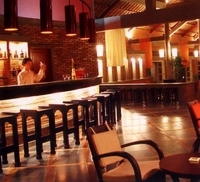 Life Resorts Quy Nhon is a 4 Star Hotel with International Hotel Management, 63 rooms with private beach and islands; restaurant, pool bar, hotel and lobby bar, two multi-function rooms, own span and wellnes area and a lot more waiting for you. Pool Bar Savour small snacks and refreshing cocktails while enjoying yourself in or by the pool. Relax at our Lobby Bar and enjoy tropical cocktails. The perfect place combined with the perfect atmosphere for relaxed, focused and creative concentration, presentation and private parties. Life Resorts multifunction rooms can be used for conferences, meetings for up to 100 people and provides the following services.